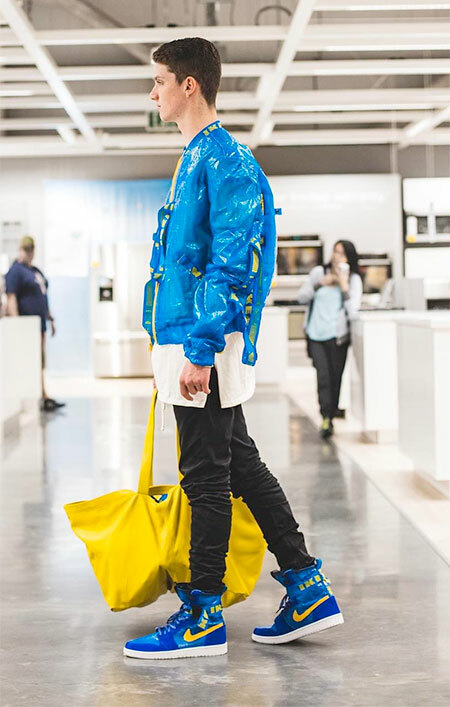 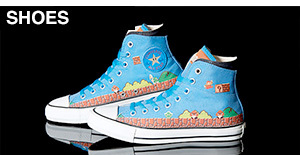 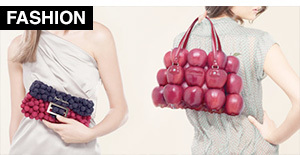 Stylish brand name sneakers made out of repurposed IKEA shopping bags. 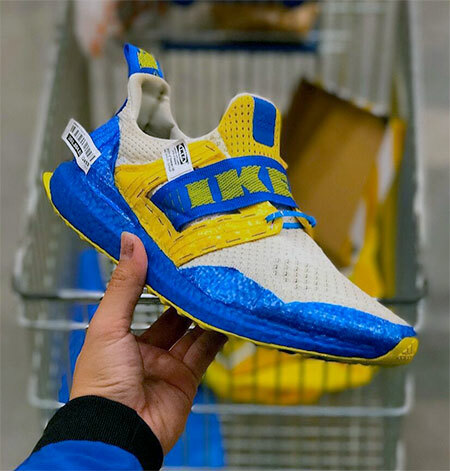 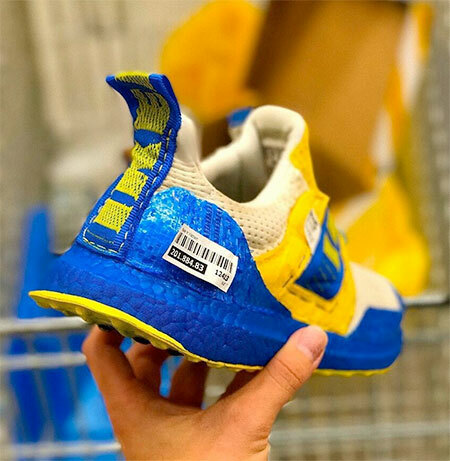 Custom made by Edmondlooi from two IKEA bag and Adidas UltraBoost. 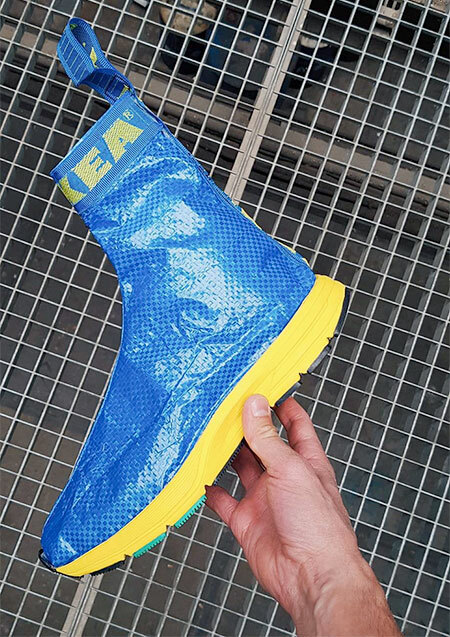 Blue and yellow FRAKTA shopping bag shoes made by STUDIO HAGEL. 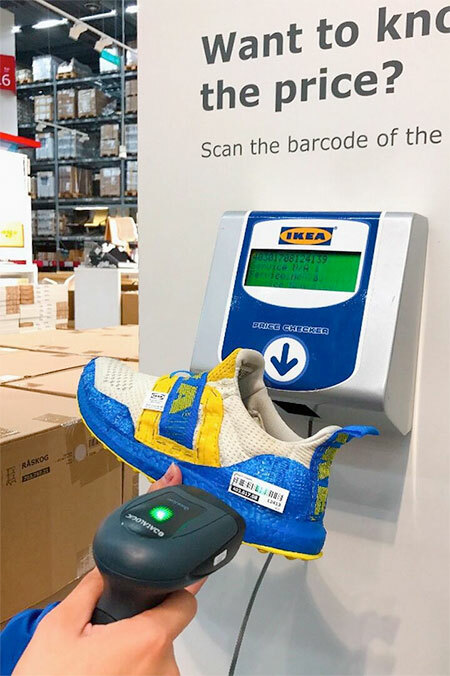 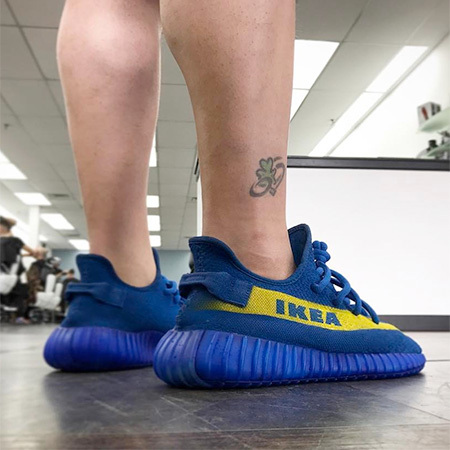 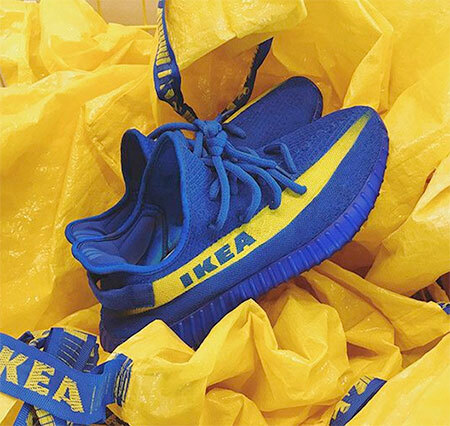 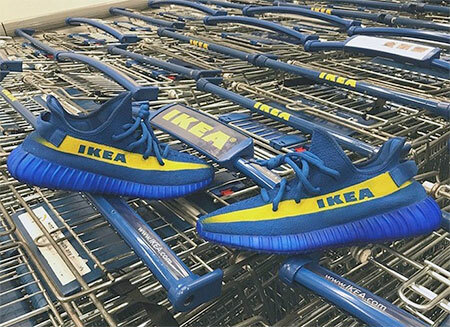 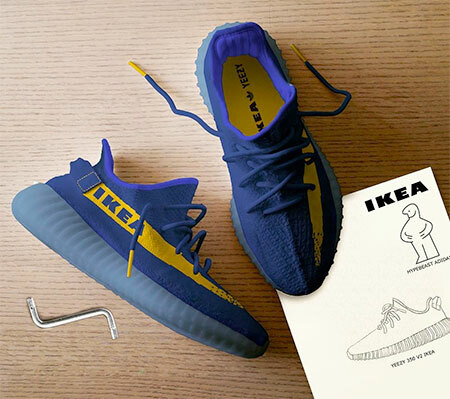 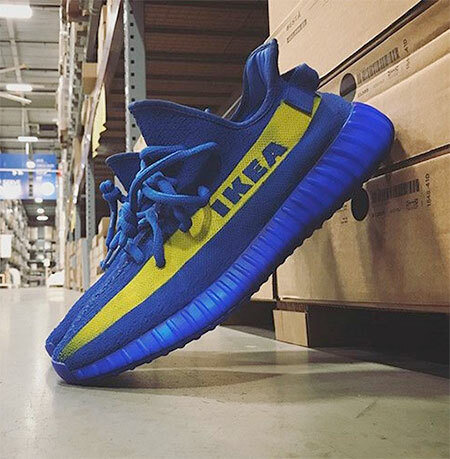 Adidas Yeezy Boost 350 v2 IKEA shoes by Brucehatoo and Mache. 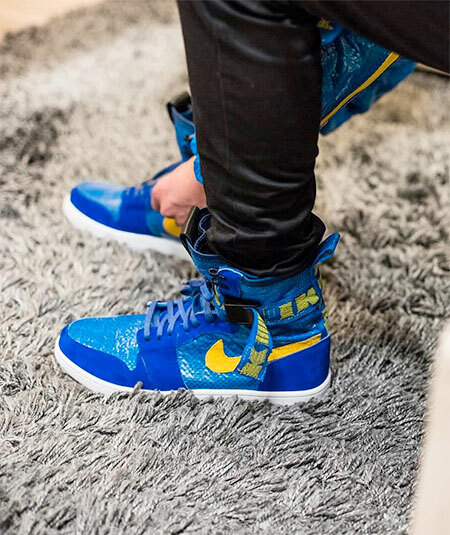 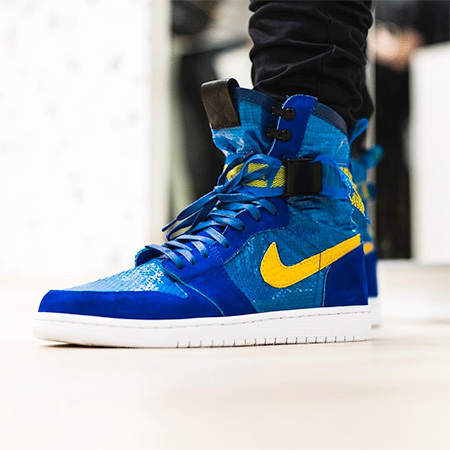 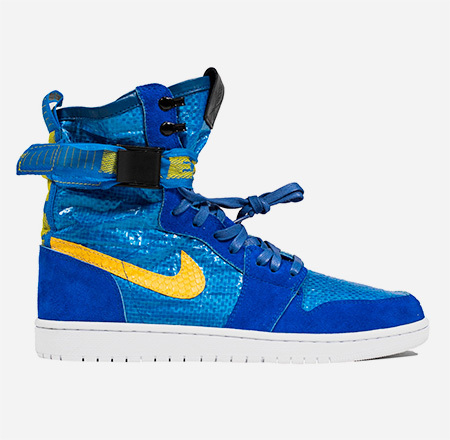 Custom made IKEA Nike Air Jordan 1 sneakers by The Shoe Surgeon.